Intense heat wave that has scorched Sindh since past three days is the latest disaster to hit Pakistan, and the devastation is growing with death toll already over 350 and showing no signs of slowing. As usual, politicians are losing no time in using the tragedy to score political points. Opposition leaders lambast the government over load shedding, while Prime Minister Nawaz Sharif scolds Secretary Water and Power Younus Dagha, who himself is undoubtedly looking for someone to pass the blame to. On social media, people are passing around important information on how to stay safe and how to treat illness such as heat stroke. However, there is one key point that should also be discussed which is how this tragedy could have been so easily prevented. 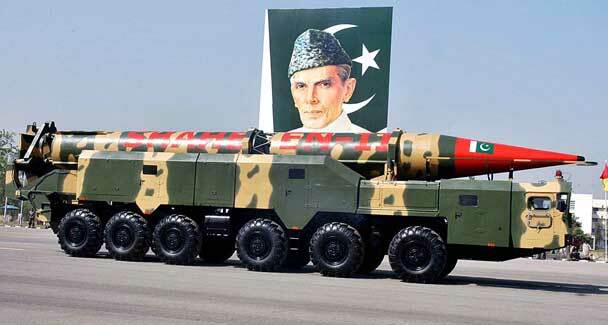 Pakistan is a nuclear power. We have the world’s fastest growing nuclear arsenal. Defence budget was increased by another almost 12 per cent this year to the tune of Rs781 billion. Meanwhile, in the same budget we have slashed funding for energy. Only Rs98 billion has been set aside for overall power industry. We have only 3 civilian nuclear power plants which supply less than 4 per cent of total capacity. In a display of sheer absurdity, we have become a global nuclear power that cannot keep the lights on. This has more than just an absurdity, though, it is a crime. Over 350 citizens have already lost their lives due to something that we currently have the ability, but not the will, to manage. We have had nuclear capabilities for almost two decades, but instead of investing that knowledge and resource into improving the lives of our citizens, we continue to squander it on an ever larger stock pile of nuclear weapons. While countries like Iran are desperate to acquire nuclear technology for peaceful purposes, we waste our own on senseless missiles and bombs. And who is paying the price? Our own citizens who are dying from lack of electricity. In a sadly ironic way, we have become casualties of our own nuclear programme. This entry was posted in Blogs and tagged heat wave, karachi, nuclear energy, power by Mukhtar Ahmed. Bookmark the permalink.